New research led by a team of Canadian scientists suggests that a large area on Mars not only once contained water, but had other conditions that would have allowed microbes to thrive. Scientists from Western University, the University of Guelph, Brock University and the University of New Brunswick analyzed data from the Mars Curiosity rover, which has been on the surface of the Red Planet since 2012. 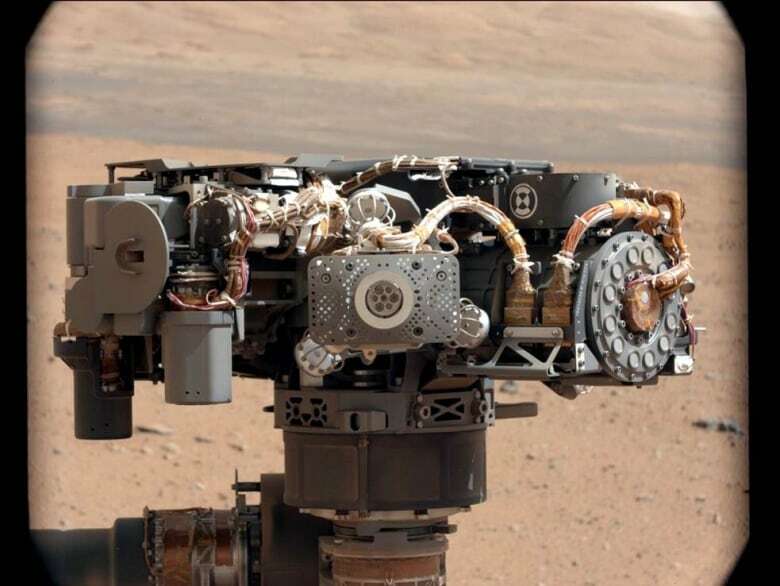 On board the rover is a Canadian-built instrument called the Alpha Particle X-ray Spectrometer (APXS), which is able to analyze rocks and determine what elements they contain. The APXS instrument on Curiosity discovered unusual material in these veins that has the highest germanium concentrations found in Gale Crater. 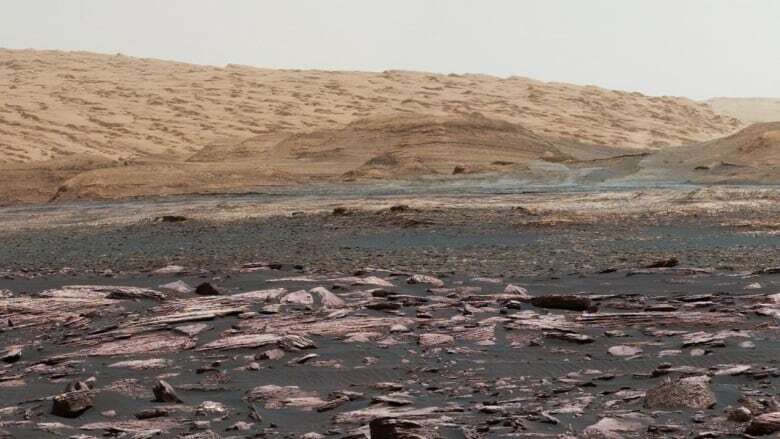 Data gathered by the rover shows the APXS found high concentrations of both zinc and germanium — in the order of 10 to 100 times higher than normal — at Gale Crater, the location Curiosity has been exploring since it landed. Jeff Berger, a geologist at the University of Guelph, told CBC News that in order for concentrations to be that high, there would have had to be hydrothermal activity in the area. That's the movement of heated water that often gives rise to rich communities of microbes on Earth in places like the sea floor. "Hydrothermal sites are one of the top five and even top two targets for exploring Mars and finding evidence of ancient microbial life," said Berger, who is also lead author of the paper published in the Journal of Geophysical Research describing the new research. "Because those are sites on Earth where we think that life probably started: it's got heat, fluid and chemical gradients that biology can use." "Hydrothermal vents are very, very habitable because you have energy, you have water, you have all the nutrients," Ralf Gellert, a co-author of the study from the University of Guelph, told CBC News. "The thing is, whenever you say 'water on Mars,' everyone yawns and says 'Okay, I've heard it 10 times already,'" Gellert said. "The thing is we are now not looking for more evidence of water, but for the conditions of the water, for the chemistry and what is left behind." While high concentrations of both zinc and germanium were found by both the Spirit and Opportunity rovers elsewhere on the planet, Berger explained that the main difference is that they were highly localized, whereas these new findings have the minerals spread widely. "We found it on Sol [Martian day] 70-something...but we've driven on for five years — today we're planning Sol 1796 — and we still are finding it, over 17 kilometres," he said. "It's really remarkable that there's so much of it in so many rocks." 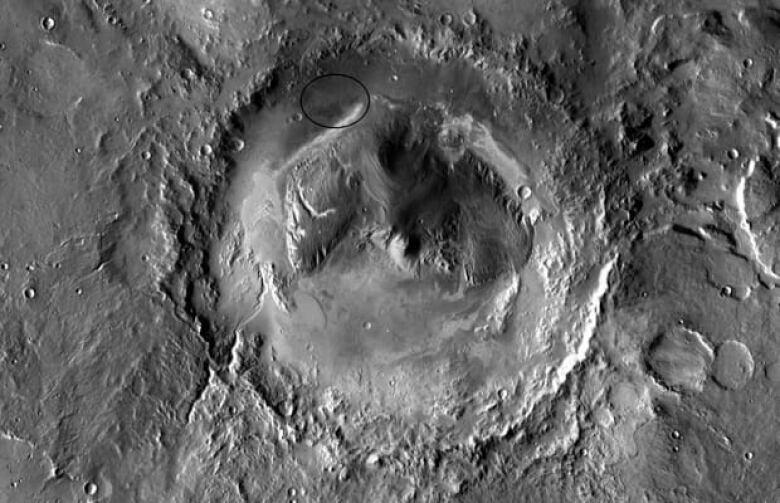 Gale Crater formed roughly 3.7 billion years ago when an object slammed into the planet. Over several hundred million years the crater was filled with about 1.2 kilometres of sediment. The crater was once filled with a lake and streams that likely lasted for either thousands or millions of years. As the rover continues up its final target — Mount Sharp at the centre of the crater — the team will continue to monitor the levels of zinc and germanium in the rocks. "In a lot of ways people will talk about Mars being boring and just being a rock, but when you look at the pictures on a day-to-day basis, it's a very rich place, especially in Gale Crater: we've found all sorts of things that people thought were impossible for a boring, basalt planet," Berger said. "When I started writing this paper, I thought I knew everything about Mars, but we just keep finding things."